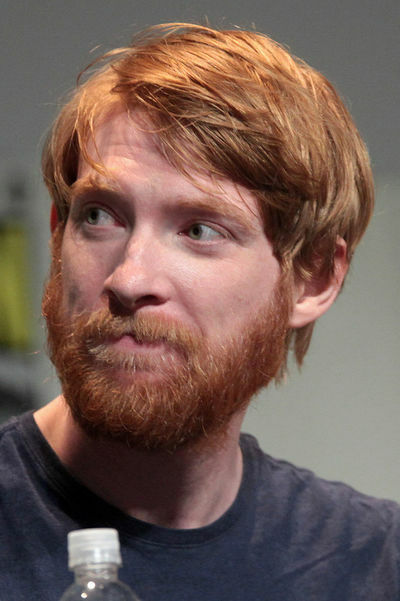 Domhnall Gleeson (born 12 May 1983) is an Irish actor and writer. He is the son of actor Brendan Gleeson, alongside whom he has appeared in several films and theatre projects. He received a Bachelor of Arts in Media Arts from Dublin Institute of Technology. During the early stages of his career, Gleeson directed and wrote several short films, garnered a Tony Award nomination in 2006 for his role in the Broadway production The Lieutenant of Inishmore, and had a supporting role in Never Let Me Go. He became known to a wider audience for his portrayal of Bill Weasley in the Harry Potter film franchise (2010–2011), Konstantin Levin in Anna Karenina (2012), Tim Lake in About Time, and Russell Allen Phillips in Angelina Jolie's war drama Unbroken (2014). 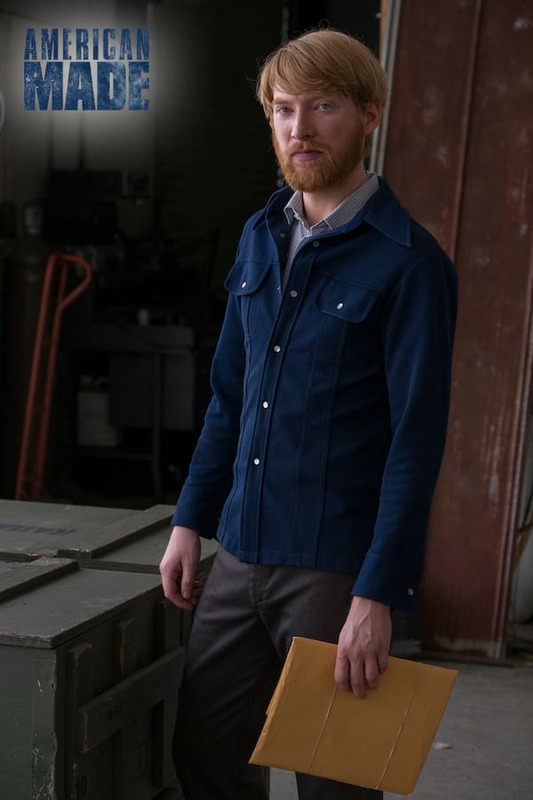 In 2015, Gleeson received widespread recognition and praise for his performances in four Academy Award-nominated films: Caleb in Ex Machina, Jim Farrell in Brooklyn, Captain Andrew Henry in The Revenant, and, most prominently, General Hux in Star Wars: The Force Awakens. His upcoming films include the Darren Aronofsky film Mother! alongside Jennifer Lawrence and Javier Bardem, a portrayal of A. 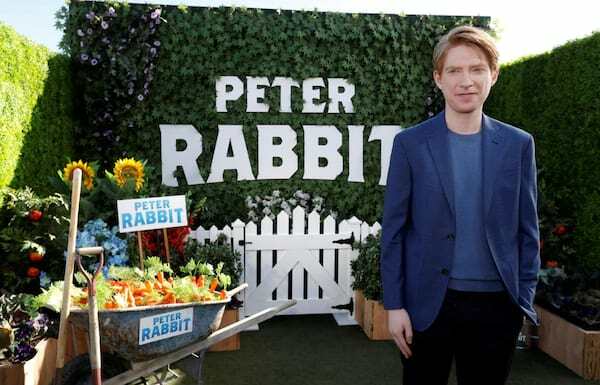 A. Milne in Goodbye Christopher Robin alongside Margot Robbie, and a live-action adaptation of Peter Rabbit; he will also reprise his role as Hux in Star Wars: The Last Jedi. Gleeson was born in Dublin, Ireland, the oldest son of Mary (née Weldon) and actor Brendan Gleeson. He has three brothers: Fergus, Brian (also an actor), and Rúairí. He attended Malahide Community School, and later graduated with a Bachelor of Arts in Media Arts from the Dublin Institute of Technology. After graduating, Gleeson began directing and writing for both film and stage. He first appeared in the British television miniseries Rebel Heart in 2001 with James D'Arcy and Paloma Baeza. Gleeson made his film debut in Martin McDonagh's short film Six Shooter in 2004, which starred his father. The film won the Academy Award for Best Live Action Short Film. He was featured in a small role in the 2005 horror comedy Boy Eats Girl. In 2006, Gleeson starred in the feature film Studs, with his father appearing alongside him. He was among the main cast members of RTÉ comedy television series The Last Furlong in 2005. Gleeson appeared on the Broadway theatre show The Lieutenant of Inishmore at age twenty-three, receiving a Tony Award nomination for his role as the dim-witted Davey. In late 2007, Gleeson played Herbert Pocket in the Hugh Leonard adaptation of Charles Dickens's Great Expectations at the Gate Theatre in Dublin. The role was described as "wittily played" by Irish Independent critic Bruce Arnold. Earlier that year he had a role as Bobby in the David Mamet play American Buffalo, also at the Gate Theatre. In 2008, Gleeson starred in the one-off RTÉ comedy sketch show Your Bad Self, which was broadcast on 26 December that year. In March 2009, it was confirmed that he had been cast as Bill Weasley in the film Harry Potter and the Deathly Hallows. His father, Brendan, plays Alastor Moody in the series. Gleeson had initially been reluctant to act alongside his father in the same film but later changed his mind. In 2006, he said of his acting: "I'd been very certain about not wanting to do the acting thing because of my father. I thought I'd always have the father-son thing of 'He got you the role'." 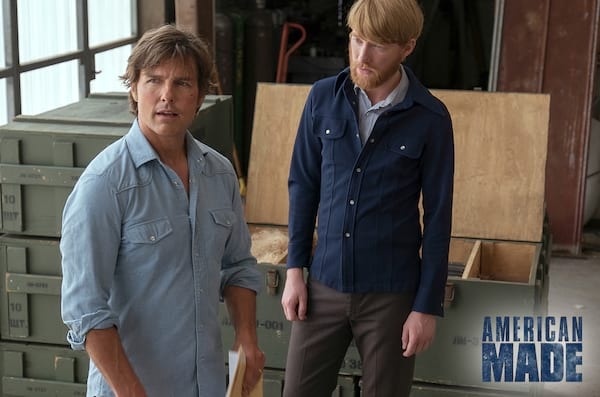 The 2009 HBO television film A Dog Year starring Jeff Bridges, featured Gleeson as handyman Anthony Armstrong. Also that year, in the film Sensation Gleeson played the role of a young farmer whose "soulless encounter" with a call-girl "develops into a bittersweet love story". Harry Potter and the Deathly Hallows – Part 1 was released in November 2010, with the Part 2 being released the following July. 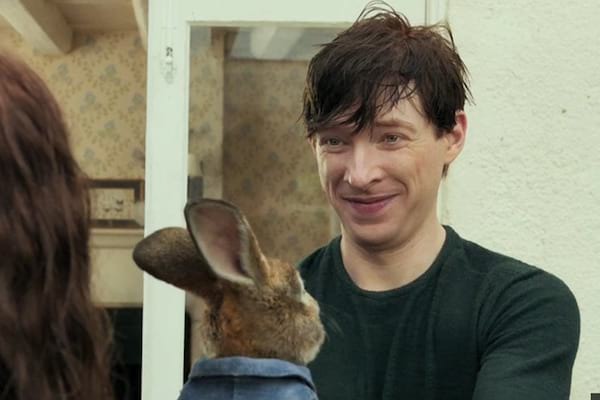 His portrayal of Bill Weasley, Ron Weasley's older brother, exposed Gleeson to a wider audience. Also in 2010, he starred alongside Keira Knightley, Andrew Garfield, and Carey Mulligan in Never Let Me Go, and with Jeff Bridges and Matt Damon in the Academy Award–nominated Coen Brothers' film True Grit. Gleeson won the 2011 Ifta Award for Best Actor for his performance as Bob Geldof in the biopic When Harvey Met Bob. He appeared in "Be Right Back", an episode of the science-fiction anthology series Black Mirror alongside Hayley Atwell as a man who is killed in a car crash, but returns to his lover as an android. Gleeson played Konstantin Levin in the film adaptation of Leo Tolstoy's classic novel Anna Karenina, directed by Joe Wright. 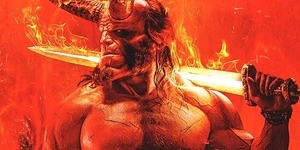 It was released in late 2012. 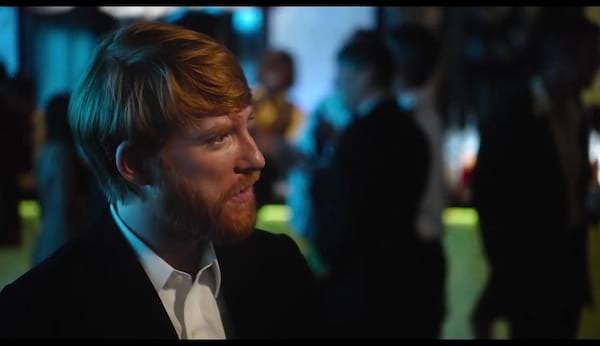 In 2013, Gleeson starred in About Time, a romantic comedy written and directed by Richard Curtis. The story follows a young man, played by Gleeson, who uses time travel to win over "the girl of his dreams", played by Rachel McAdams. Filming took place in London, England, in June 2012. 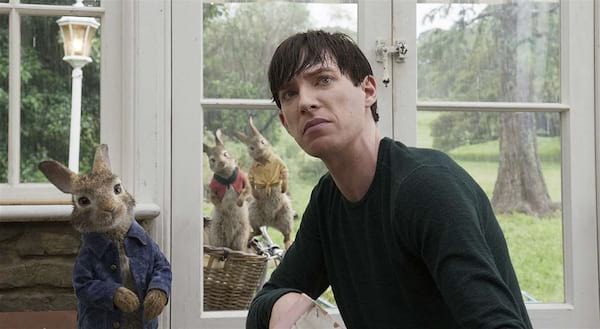 In 2014, he portrayed Jon in the Lenny Abrahamson film Frank, starring alongside Michael Fassbender. In 2015, he played Caleb in Alex Garland's directorial debut Ex Machina and Jim Farrell in Brooklyn. He played Captain Andrew Henry in the Oscar-awarded film The Revenant and General Hux in Star Wars: The Force Awakens. In 2017, he will appear in six films: American Made, mother!, Star Wars: The Last Jedi, A Futile and Stupid Gesture, Crash Pad, and Goodbye Christopher Robin. Gleeson shares a love of the English Championship team Aston Villa with his father Brendan. He described the team's FA Cup semifinal win over Liverpool at Wembley Stadium in 2015, as one of the "great days of my life". Along with his father and brother Brian, Gleeson created and stars in the Immatürity For Charity sketches, which raises money for the St. Francis Hospice in Raheny, Dublin. It also stars Laurence Kinlan, Tadhg Murphy and Amy Huberman.